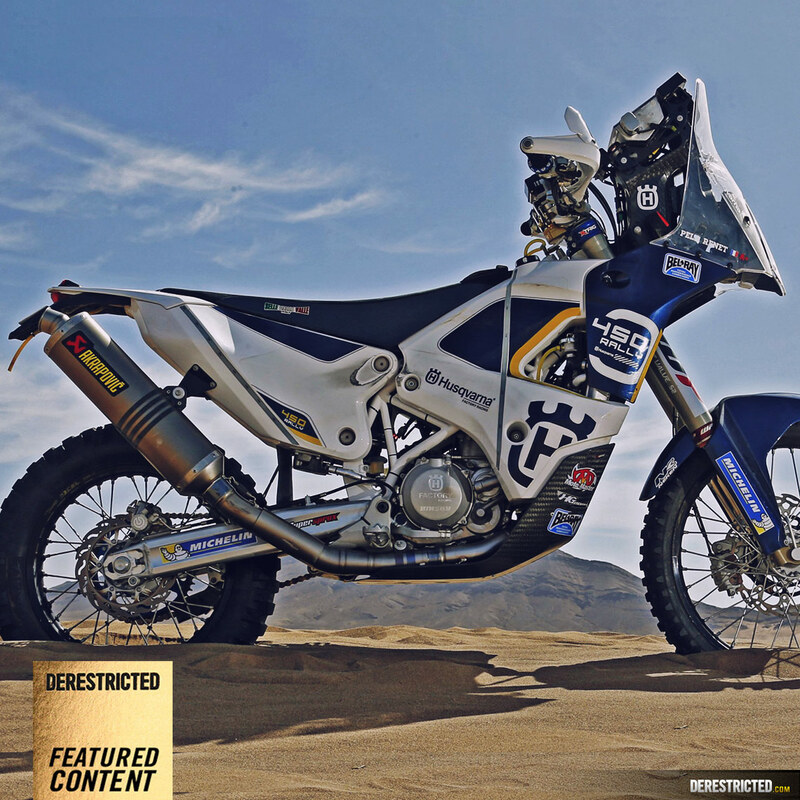 The fact that Husqvarna was forming a rally team was announced a few months ago, but there were no official pictures to go with it, so we couldn’t share the design of the bike. 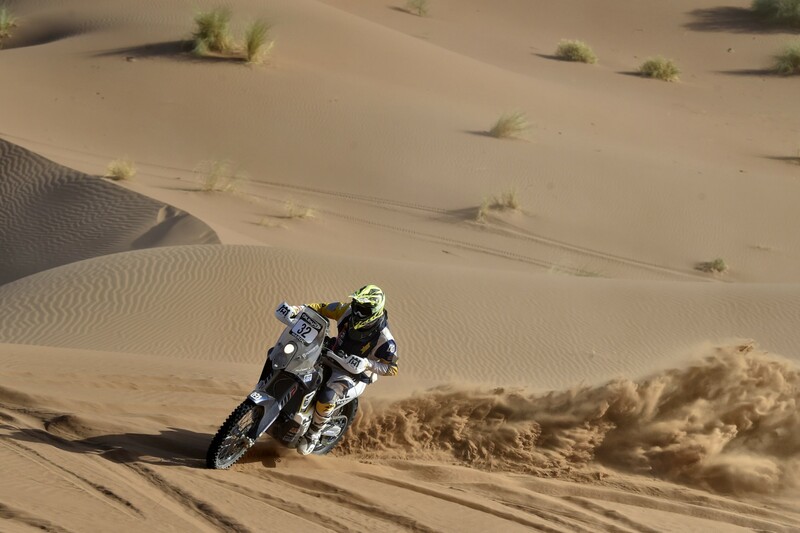 With the OiLibya Rally in Morocco now in full swing there are some photos of the bike, so here is the official press release, my original design concept, and the latest report from the race along with some great photos in the dunes! 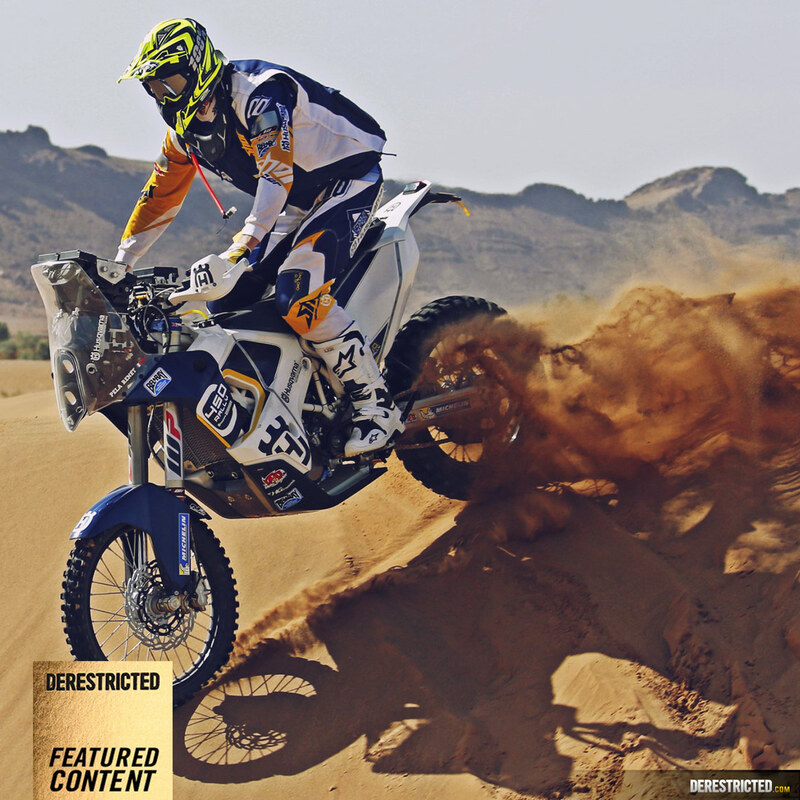 Husqvarna Motorcycles has announced that it will compete in the Dakar Rally with an official factory team from the 2016 edition of the most famous and toughest offroad event on the annual motorsports calendar.The official Husqvarna Factory Racing Team have signed two prominent riders in the form of Dakar veteran Ruben Faria of Portugal and Pierre-Alexandre (Pela) Renet of France, who comes to rally sport with impeccable Enduro credentials. 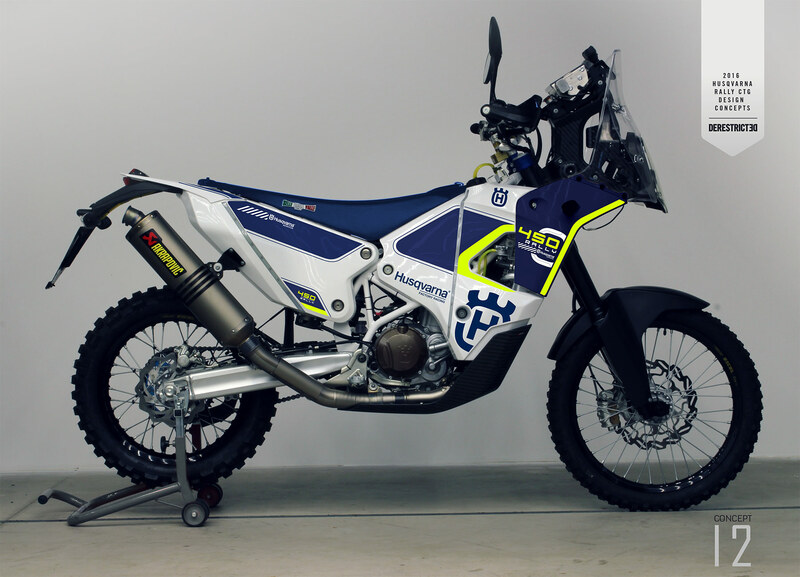 Riders will contest the Dakar on the Husqvarna FR 450 Rally bike. 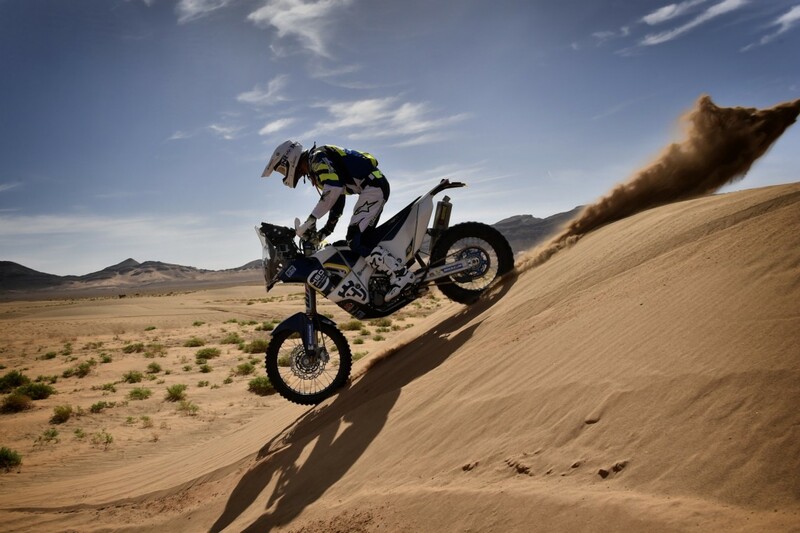 Robert Jonas, Husqvarna Motorcycles Vice President Motorsports said he very much welcomed the announcement as a natural extension to Husqvarna’s engagement at the highest level in other leading international motorsport activities. 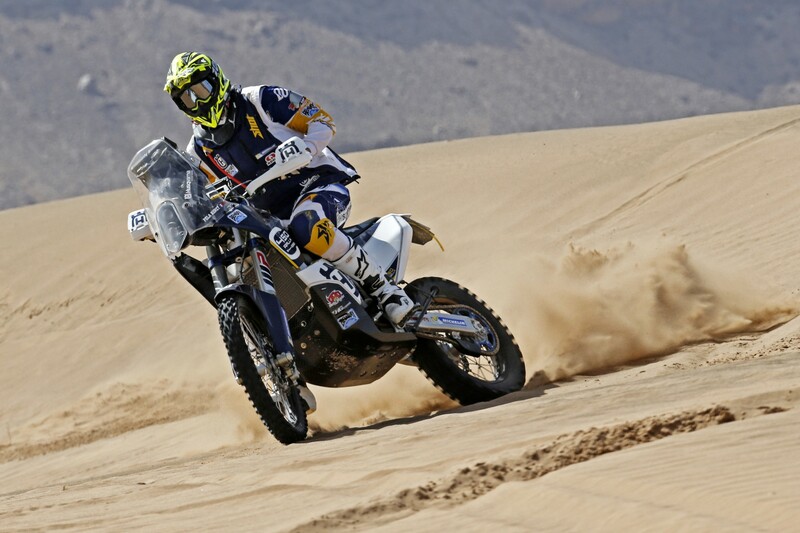 Robert Jonas: “We are pleased and proud to be taking the Husqvarna brand another step forward into rally sport. 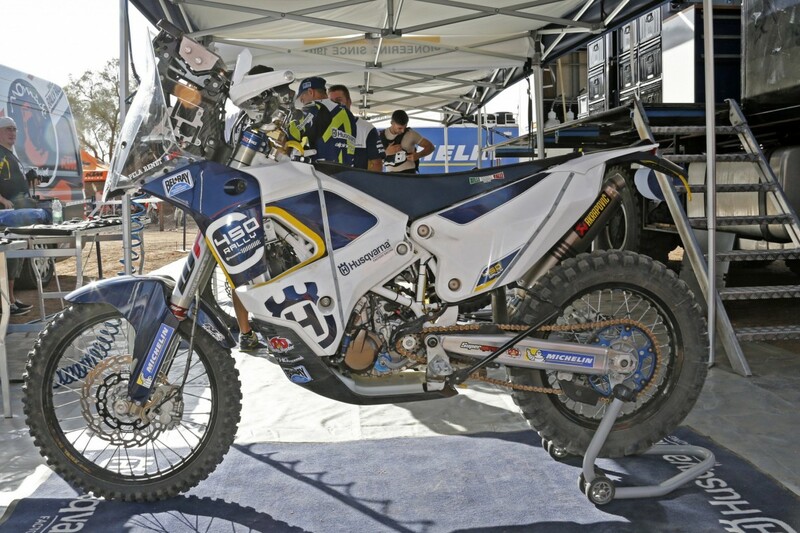 Husqvarna has a rich tradition of racing and this represents an opportunity for us to honor and extend this tradition. 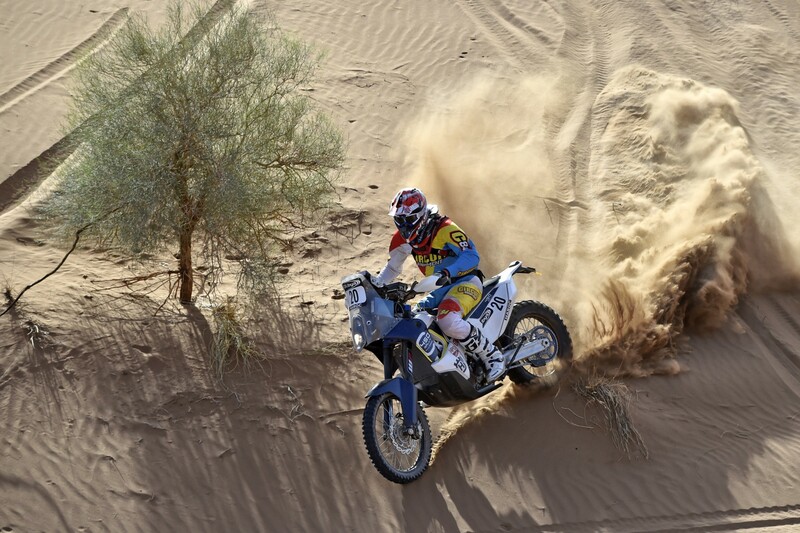 The Dakar is the most prestigious rally on the calendar. 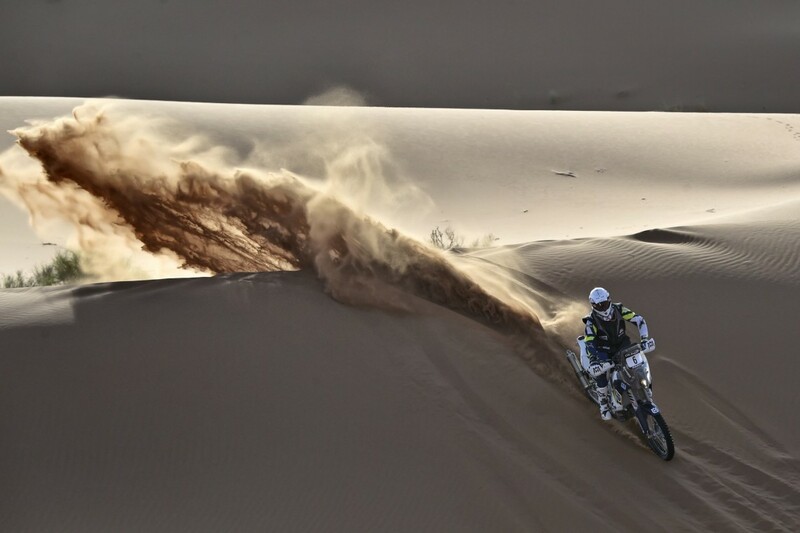 We’re determined to compete on equal terms with the world’s best teams and we are ready to accept the challenge of rally sport at its finest. 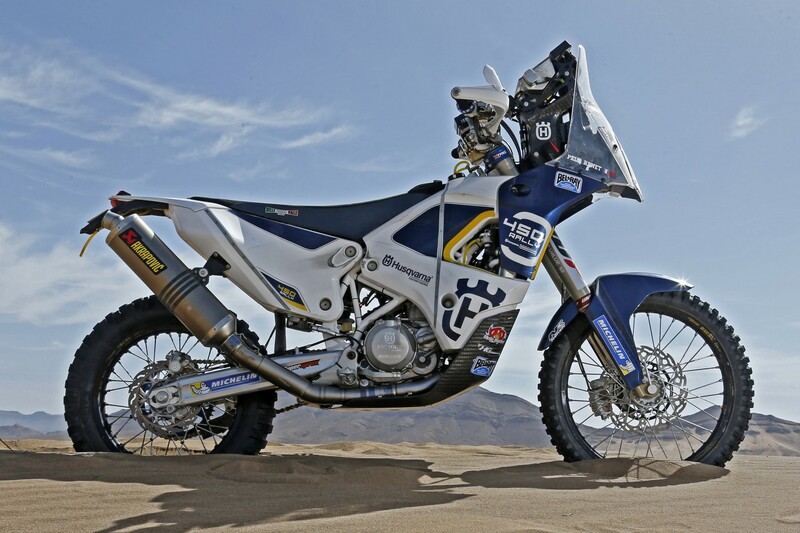 We are also very confident that it will be rewarding for our brand and our factory team.” The Husqvarna presence in the Dakar paddock will be further underlined by the HT Husqvarna Rally Team managed by Henk Hellegers as the brand’s official satellite team. “The HT Husqvarna Rally Team as the satellite team is a natural extension of the Husqvarna brand activities and we look forward to working with them,” Jonas confirmed. 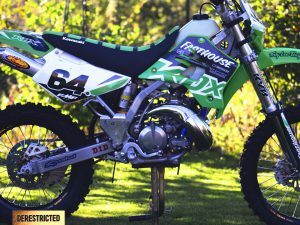 Above is my concept render for the race bike, below is the finished model. 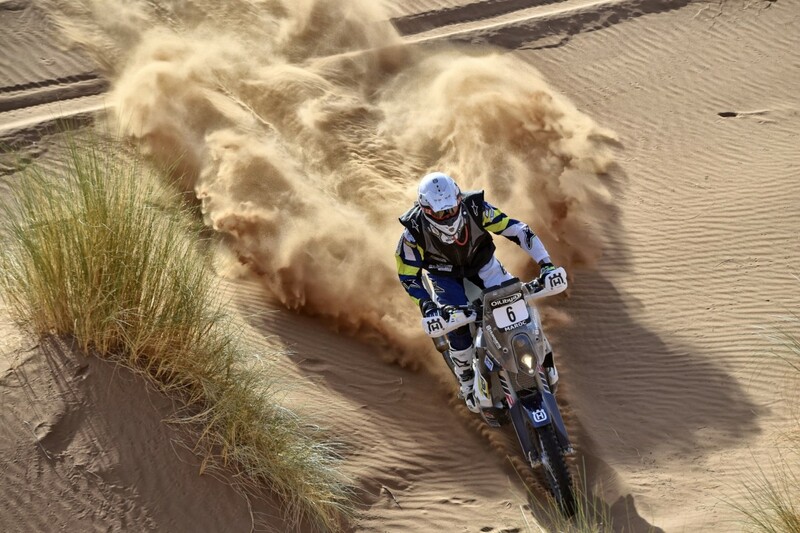 Husqvarna factory riders Ruben Faria and Pela Renet had their best day out so far in Stage Three of the Morocco Rally, the final round of the 2015 FIM World Cross Country Rallies Championship. Faria, a veteran of the rally raid and the Dakar Rally, bettered his previous day’s ride to finish seventh in the stage, and is now also seventh overall. 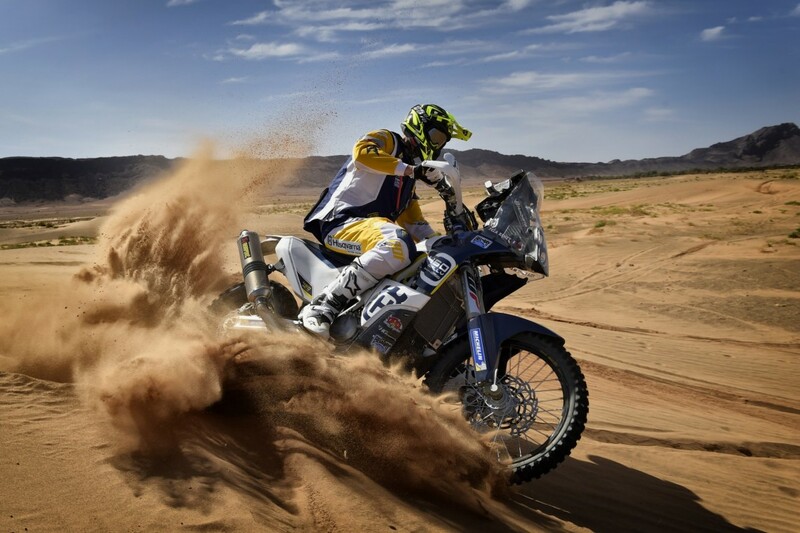 Wednesday was also a very good day for Renet, who is making his debut in rally sport, as is the Husqvarna Factory team. 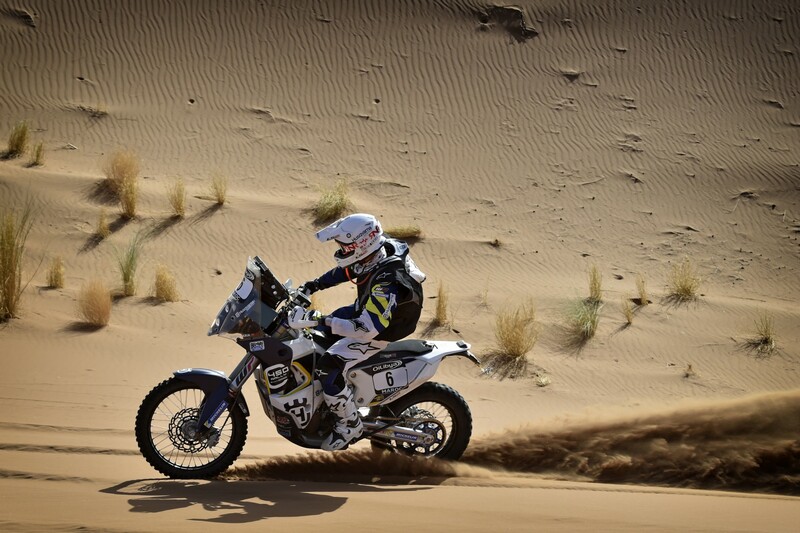 The French rider, here to gain experience and to learn the navigation techniques, had his first top ten finish. 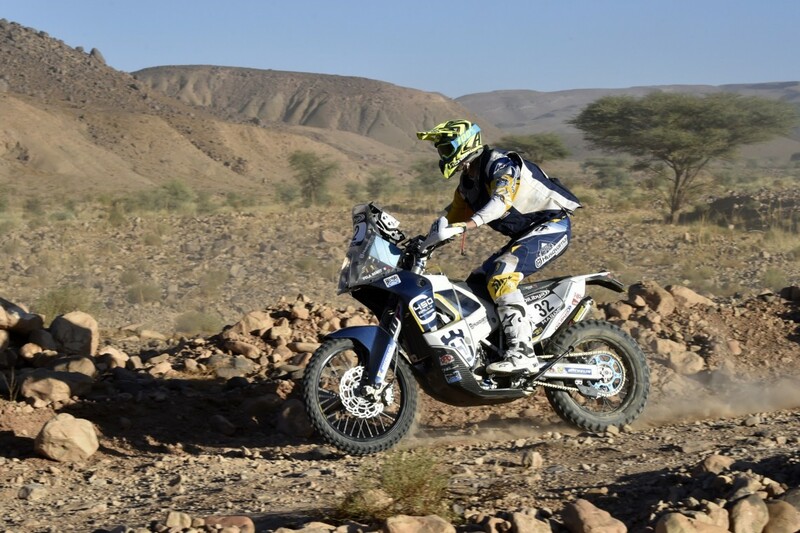 He was eighth fastest in the stage, up nine positions on the previous day and despite a 20-minute penalty incurred in the first stage for missing a waypoint, is now fifteenth in the overall list. 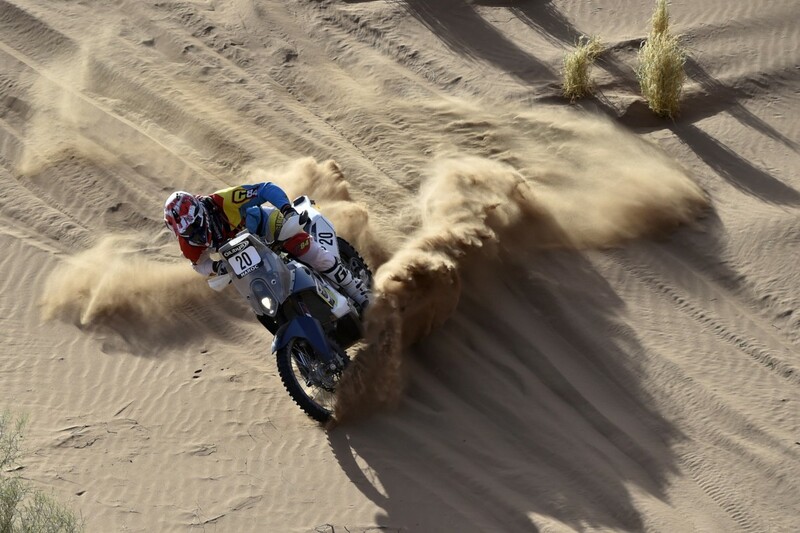 Faria, who took a small fall in the opening stage, which resulted in some bruising of his left side and a little discomfort, also managed to advance six places in Wednesday’s stage compared to Stage Two. 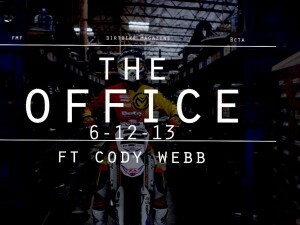 He is now is sixth place in the standings. 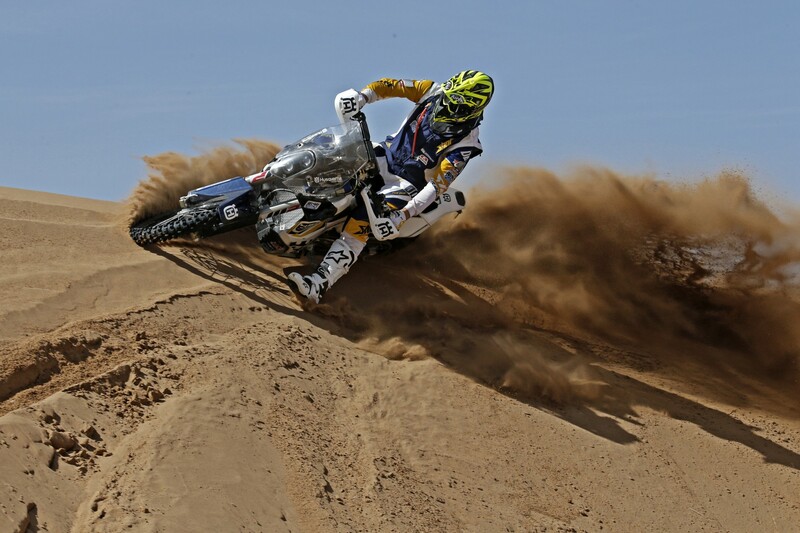 The two Husqvarna factory riders are essentially in Morocco to train, and to test materials. 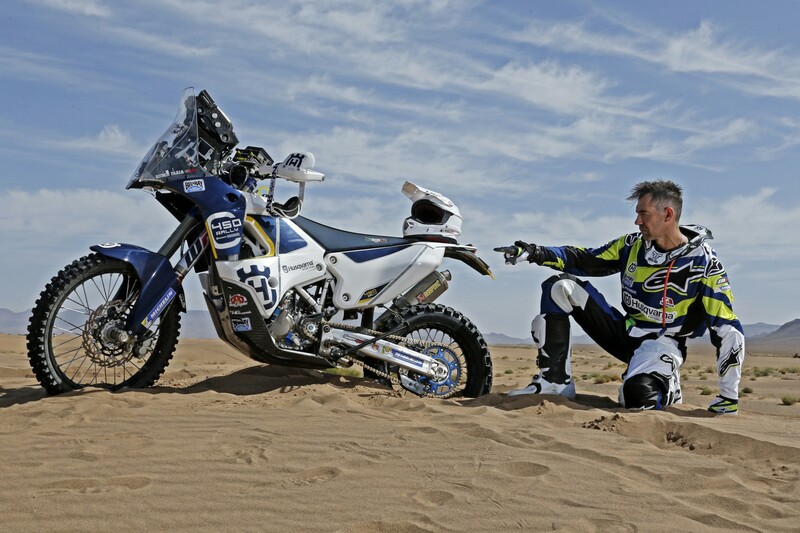 The rally is an important part of the team’s pre-Dakar Rally preparation and for Renet, who comes straight from enduro sport, where he has been a leading rider in recent seasons, a valuable opportunity to acquaint himself with a new motorsport. 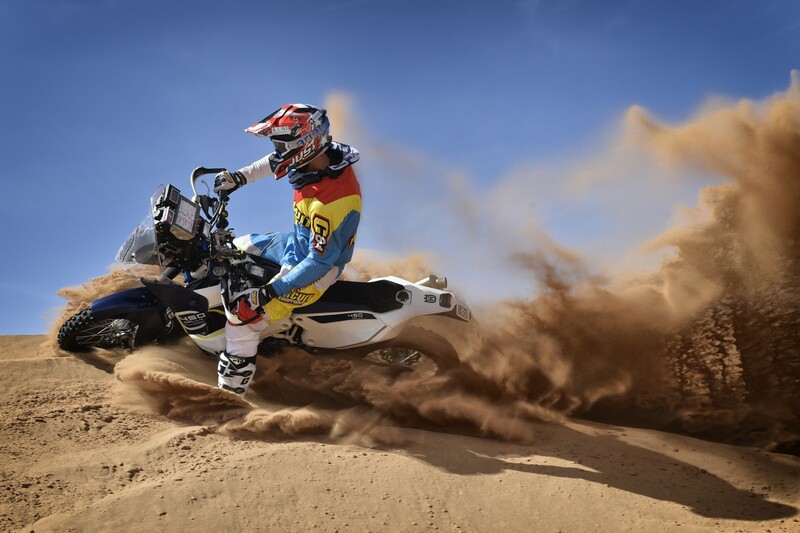 Renet missed the second half of the WEC Enduro World Championship through injury but is quickly finding his way in his new discipline. 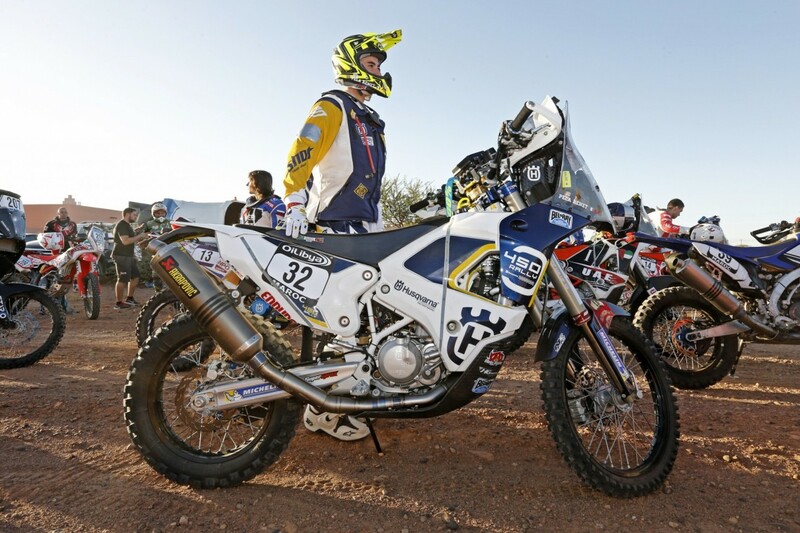 Husqvarna-supported Jacopo Cerutti of Italy is also delivering a strong rally and after Stage Three was in tenth overall. 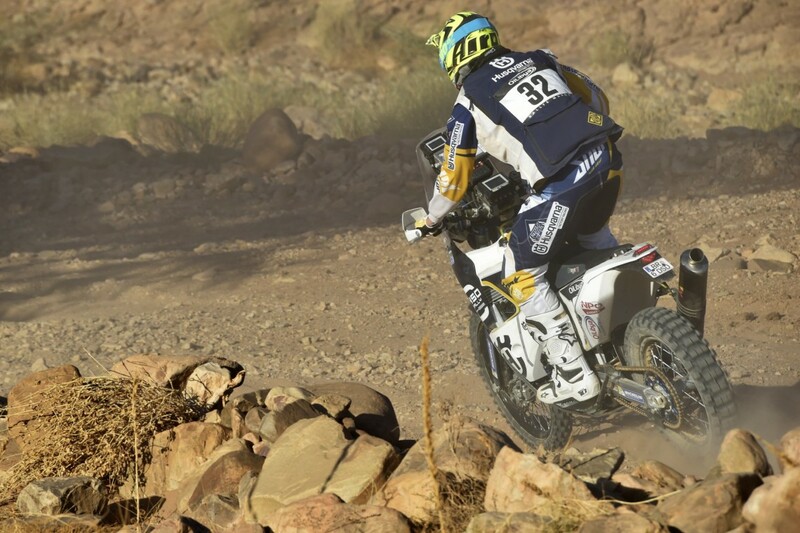 On Thursday the Husqvarna riders competing on the FR 450 Rally face a long day with a stage of 641 km on the programme, which includes a timed special of 293 km. 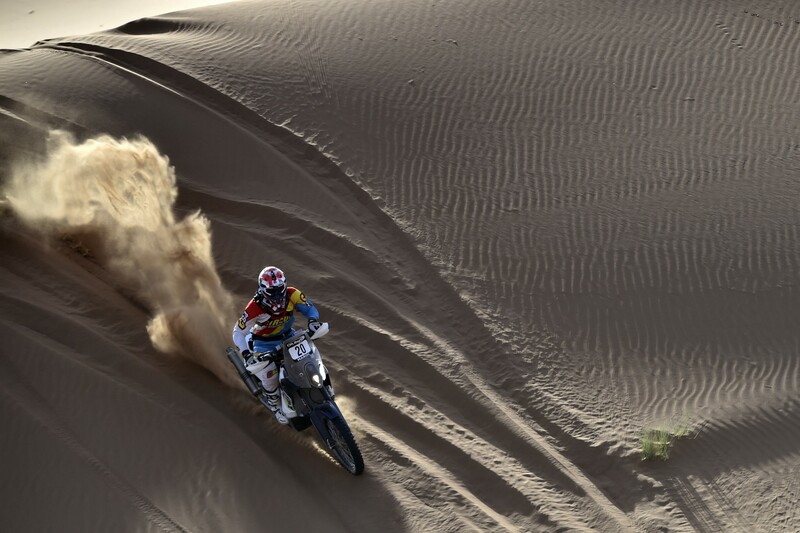 The rally concludes on Friday. 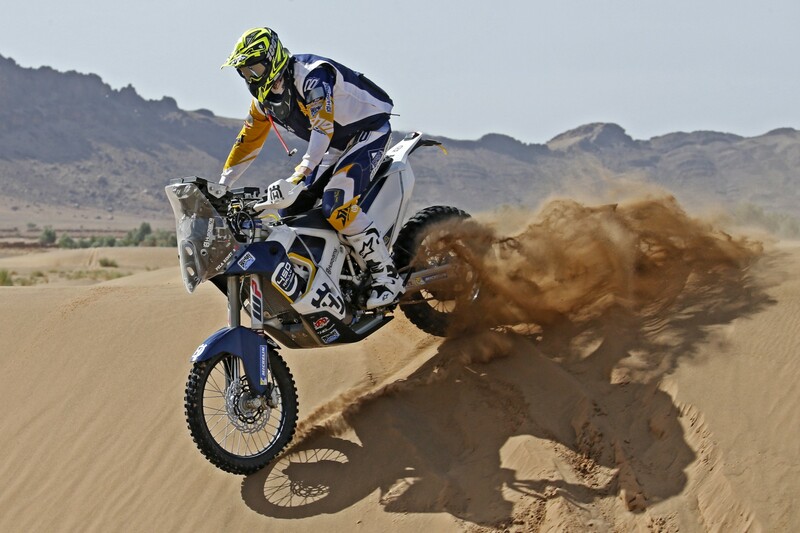 Loop of De M’Hamid 470 km of which 274 km is timed special.